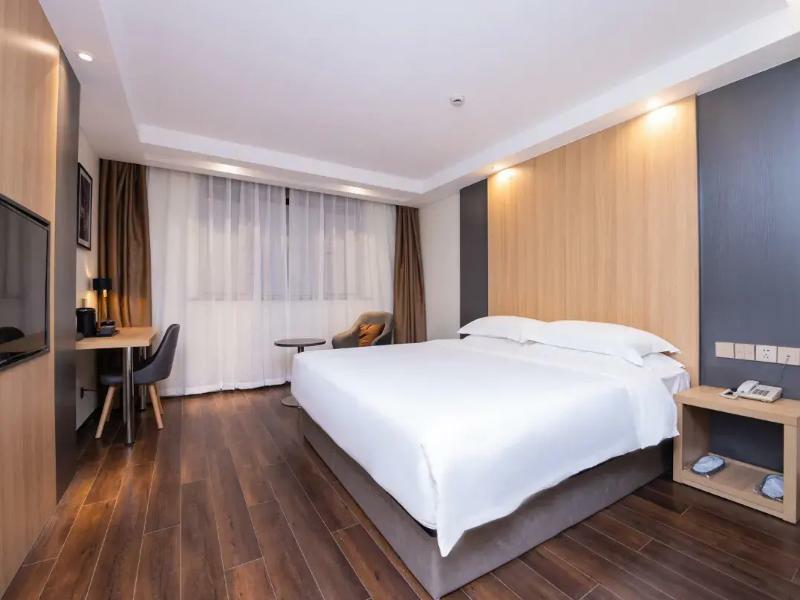 Имате въпрос към Jiahe Shangju Hotel Pudong Shanghai? Разположен в Shanghai International Tourism and Resorts Zone, Jiahe Shangju Hotel Pudong Shanghai е перфектно място да почувствате духа на Шанхай и околностите. Този 4-звезден хотел е леснодостъпен, тъй като е само на 15. Km от летището. С удобното си местоположение хотелът предлага лесен достъп до всички градски забележителности, които задължително трябва да се видят. Jiahe Shangju Hotel Pudong Shanghai също така предлага много съоръжения за обогатяване на Вашия престой в Шанхай. Хотелът е оборудван със съоръжения като 24-часов рум-сервиз, безплатен WiFi достъп във всички стаи, 24-часова охрана, ежедневно почистване, таксиметрови услуги. Като допълнение всяка хотелска стая предлага широка гама от удобства. Много от стаите са с телевизор с плосък екран, достъп до интернет (безжичен), безжичен интернет достъп (безплатен), стаи за непушачи, климатик, за да удовлетворят и най-изискания вкус. Освен това в хотела можете да се възползвате от множество предложения за приятно прекарване на свободното време. Jiahe Shangju Hotel Pudong Shanghai е добър избор за всички посетители на Шанхай, защото предлага спокойствие и безпроблемен престой. Very pleased with this hotel for a brief transit in Shanghai. It would also be a good choice as a base for exploring Shanghai by metro train, noting that it is about 40 minutes to the city centre. The last train back however is about 9pm, so if you plan to be out later than that it is a taxi ride back and about Y200. Hotel breakfast is very minimal. There are no non-smoking rooms. Carpets are very stained and grotty looking, but that is the case in every hotel i used in China! Hotel is very clean and room is big. Employees are polite and helpful. Slightly far from MRT station. A big mall near by the MRT with good foods. 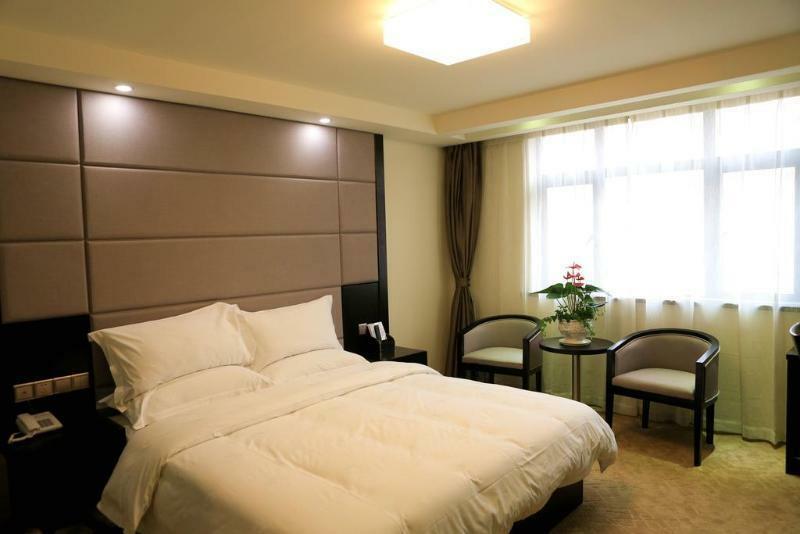 Big room,Near subway,Near restaurant and small outside city. Far away to downtown. 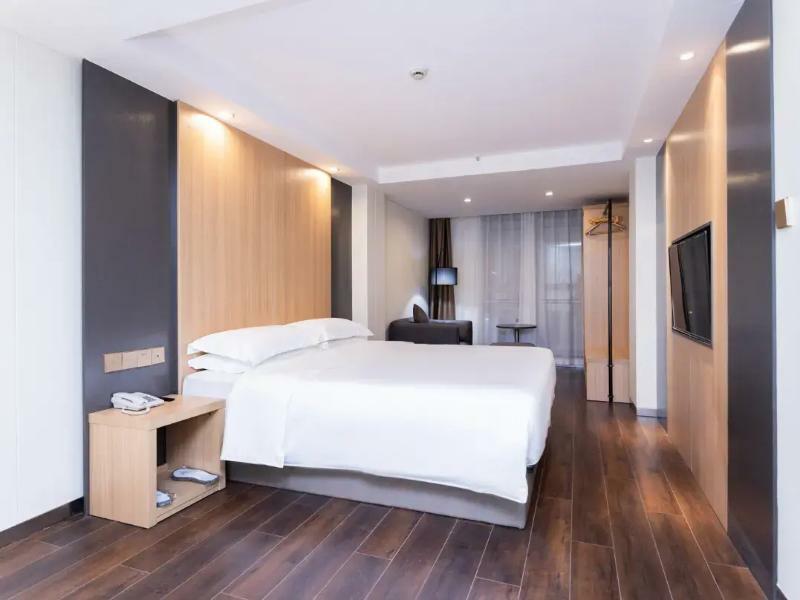 Pro Affordable price Near airport Quiet Cons 5-10 mins walk from metro to hotel Less people and dim streetlights along the way Far away from city **Suitable for those who wants to stayover for early fight next day. It is 4th stop from Pudong airport. Chuansha Metro station. You come out of exit 2. You can see the lotus logo of your hotel. Bank nearby to change your dollars. It is near to local residences locality. Lost of small shops and supermarket nearby. Room is clean and nice but the location is not so convenient. Overall the metro using experience isn't so nice either. If you come into Pudong and you just wanna sleep somewhere close (but not close to much of anything going on in the city besides the Metro), it's fine. Friendly reception and helpful staff. Very welcoming. About 25mins from the airport and 50yen taxi ride. Nice, clean, spacious hotel. Has restaurant next door & shopping mall up the road, but that's about it and no nightlife. Good transit hotel to shower, eat, sleep and get on the Internet. The location was ok, a bit of a walk with two suitcases from the metro and also quite far away from the centre and from the airport. The room was good a part from the toilet that made and awful noise when you flushed it and the bathroom had a window in it which was covered by blinds that weren't the best! nice comfortable room. Near subway and nice restaurant nearby. Overall, good. No complain on the room. The buffet breakfast is very Chinese orientated, which I do not mind. The housekeeping is good, towel is thick and clean. Heating is working well and quiet. However, wifi is very slow. Hotel is find but staff need more practice on English communication.